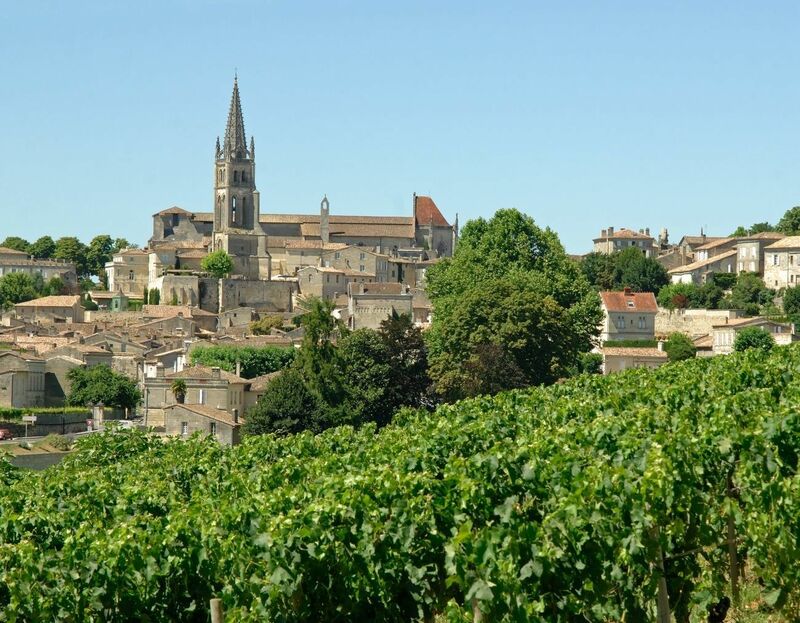 Our story started in 1902, in the heart of the prestigious vineyards of Saint-Emilion and more specifically on the site of a 18th century monastery of Bordeaux, former property of Chateau de Figeac! Monsieur René Bouchart, decorated with the awards of “Chevalier de la Légion d’Honneur” and working in the brewery and malthouse industry, built the Château Grand Barrail Lamarzelle Figeac for his future wife, Madame Marie Godeau. 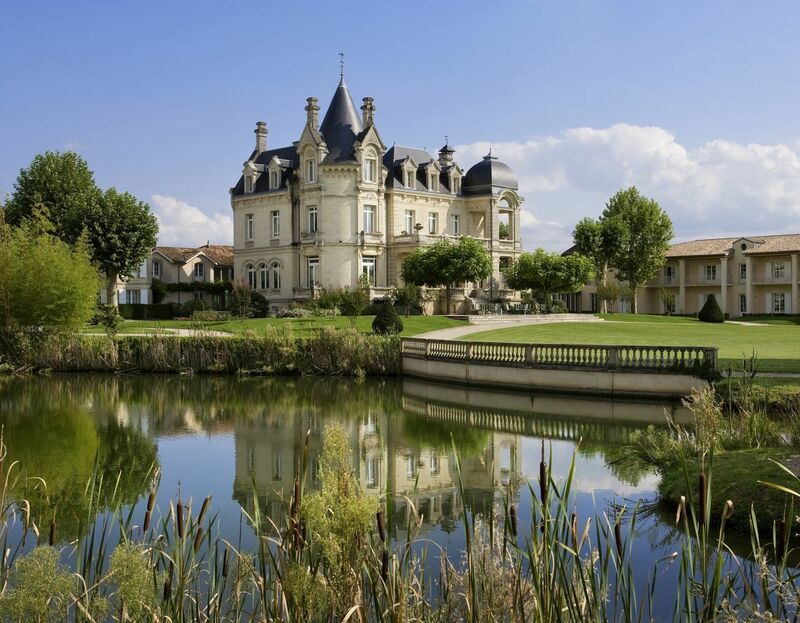 The drawings of Château Grand Barrail Lamarzelle Figeac were inspired by his property in Saint-Amand-les-Eaux, in the north of France, located close to the French-Belgian malthouse factories founded by Monsieur Bouchart himself. The architecte Louis-Marie Cordonnier was chosen to supervise the construction works. Monsieur Cordonnier was well-known for drawing the plans of the Palais de la Paix in La Haye, the Théâtre Opéra in Lille and for his collaboration to the reconstruction of the Basilica of Saint-Thérèse de Lisieux. Monsieur Bouchart had one demand only. One room in the Château had to remind of his business trips to Tunisia that he loved so much. Thus, the Mauresque room, one of the current dining rooms of our restaurant, was decorated in a Rococo style from the beginning of the 20th century. Its stained-glass windows and its décor were designed by Messieurs Chauffrey, interior designers of private houses in Bordeaux. The monastery was called “Grand Barrail”. “Figeac” since it is located on the well-known “Domaine de Figeac”. Monsieur and Madame Bouchart’s descendant, Germaine, lived in the Château with her husband Monsieur Emile-Nerini, music composer and decorated with the awards of “Chevalier de la Légion d’Honneur” too, along with their 3 daughters until 1937. The successive bad weather conditions forced them to sold the property to Monsieur Maurice Alloo, a Belgian stockbroker who lived with his family in the Château until the end of World War II. In 1955, Monsieur Alloo sold the Château to Monsieur Georges Clément, distiller and novelist of the Gironde. Ever since he saw the Castle, he had always dreamed of living there for the rest of his life, which he did until 1958. When Madame Campana, Monsieur Clément’s companion, died in 1988, the Château was offered for sale again. In the early 90s, Monsieur and Madame Gross decided to buy the Château and turn it into a Hôtel-Restaurant. 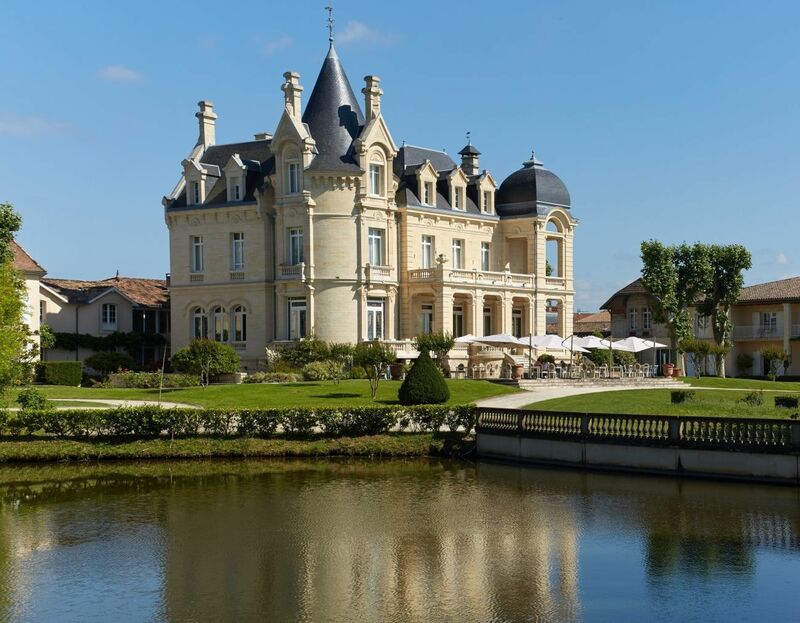 Impressive restoration and transformation works started in 1992, to change the Château Grand Barrail Lamarzelle Figeac into a unique and prestigious hotel, located in the heart of the vineyards of Saint-Emilion. In 1993, the Château Hôtel Grand Barrail opened its doors as a 4-star hotel and accommodated its first guests. In April 1994, a new wing called “La Résidence”, where the Reception is located, was added to offer a total of 28 rooms on top of the restaurant with its 3 dining-rooms, a seminar and a tasting rooms in the Château. The Hôtel Grand Barrail expanded again with two additional outbuildings in the Fall of 2003. The “Maison du Bien-Être” offers 10 rooms and houses the Spa Saint-Emilion, an area dedicated to our guests’ wellness with its jacuzzi, its saunas, its steam rooms and the 4 treatment rooms. The “Maison du Vignoble”, on the other hand, offers 4 suites with breath-taking views over the vineyards. 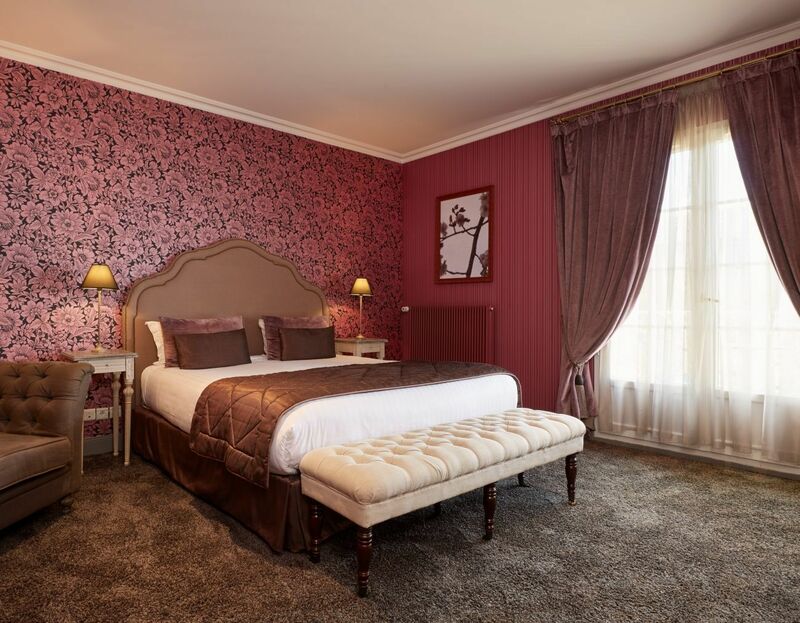 In May 2008, Les Hôtels Emeraude acquired the Château and undertook massive renovation and embellishment works. The Château-style was rethinked by our designers, Gil Dez et Charles Montemarco to let you discover the tranquillity of the place with soft and subtle nuances. The outbuildings were renovated too to offer the modern luxury of an upscale hotel. 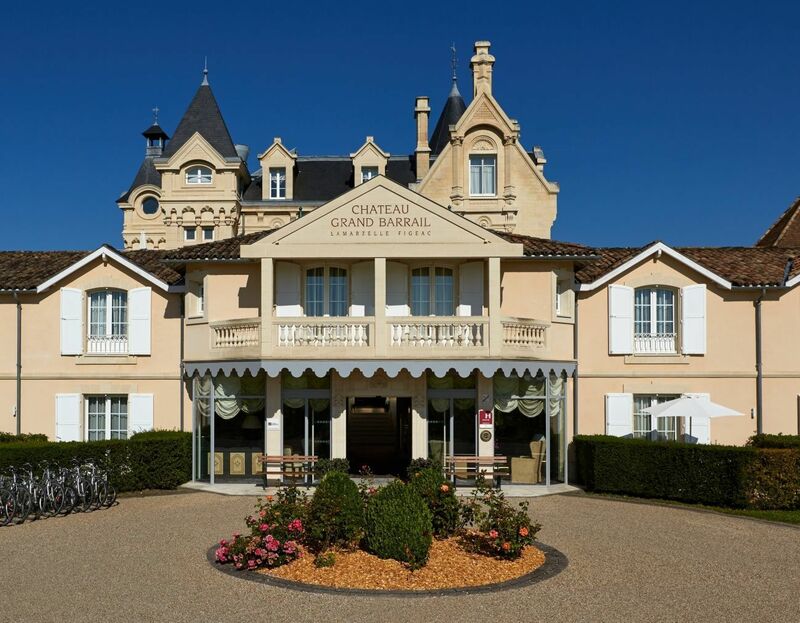 Even now, the Château Hôtel Grand Barrail***** keeps growing and developing to offer you additional services and ensure you a memorable stay!